This is a post for those of you who are reading the novel. I wanted to include these illustrations in the novel. Apparently it is pretty expensive to do that. My agent and publisher encouraged me instead to let the story paint the picture and perhaps follow up with these illustrations on the website. So here you go! The maps are based on about a year’s worth of work. I drew them on AutoCad in three dimensions. 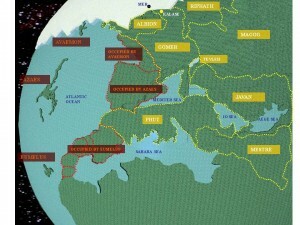 I researched old National Geographic Maps to chart and reconstruct the ancient shorelines. Google Earth was just coming out at the time. 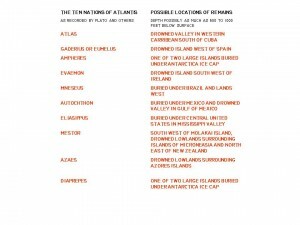 I discovered that the underwater information was very different in some places from my sea charts. I opted to stick with what I trusted. 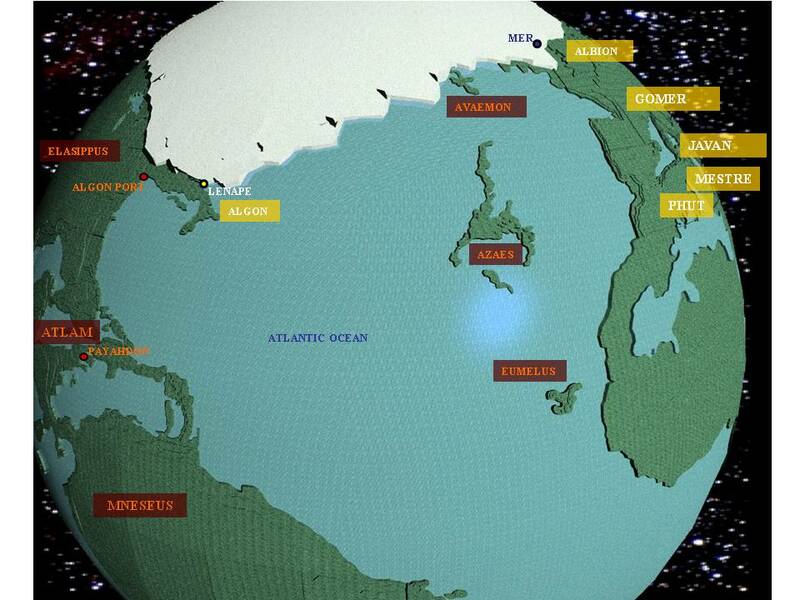 In 11,000 BC +/- the world’s oceans were much lower. Estimates are between 400 to 800 feet lower. The average scuba diver can only dive 130 feet. That would sink the theoretical ruins of an ancient seaport at least three times that distance into the murk. 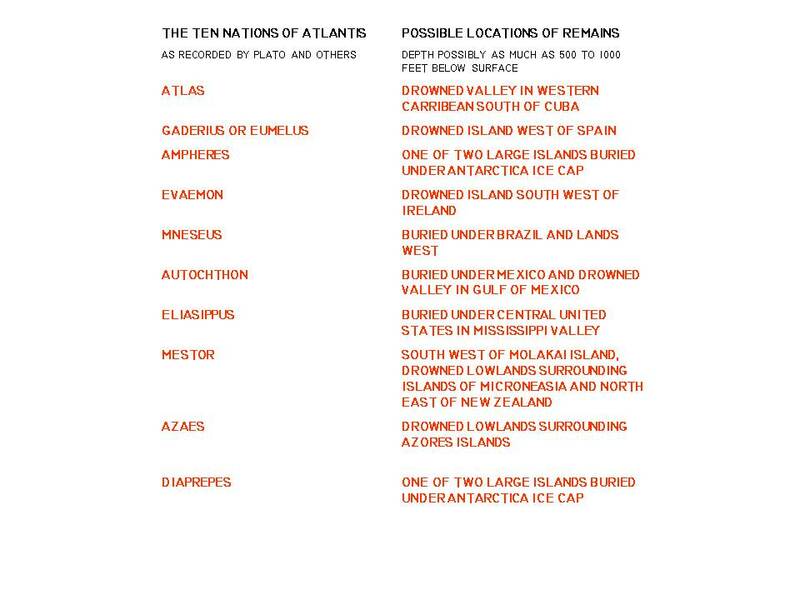 I also used Plato’s direct description of the ten nations of Atlantis to make educated guesses for locations of each of the countries. (I linked information to the Jowett translation of Plato. It seems to be getting harder to find an old copy. If you want one, better buy it now.) I followed his information about the size and breadth of the ancient empire. 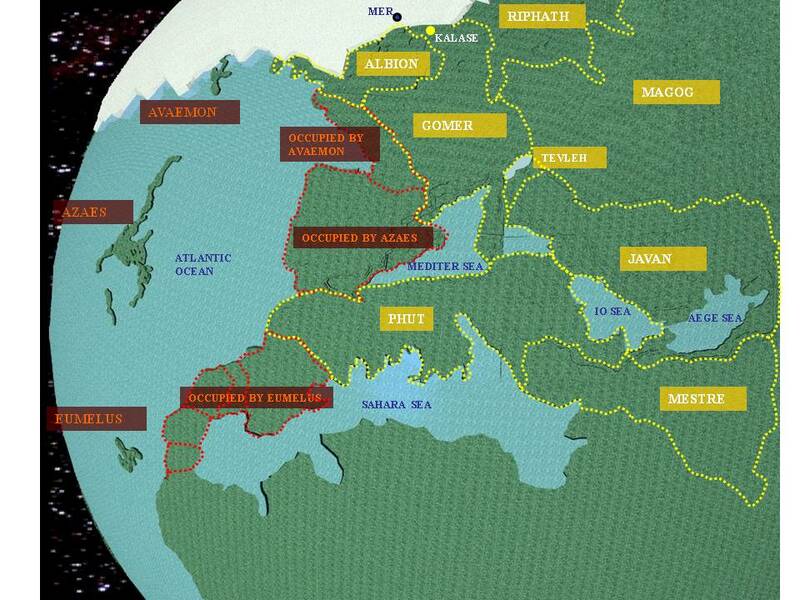 Despite what academics and Hollywood have portrayed, Plato clearly described the Empire as covering two continents the size of Asia and ancient Libya with the capitol at its center. The capitol, Poseidon, was enormous. It was large enough for Pennsylvania, New Jersey, Maryland, and Delaware to fit with in its city limits, with room left over for Vermont. The city was intentionally landlocked by its founder and accessed the Atlantic by a canal longer and deeper than anything built today. Plato said the harbor of Poseidon was busy day and night. Interesting claim for an ancient harbor prior to the supposed discovery of artificial lighting. 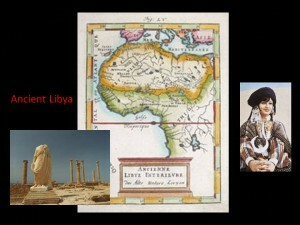 Ancient Libya at the time of Plato covered about a third of Africa. I made the assumption that the ancient world understood the size of Asia. 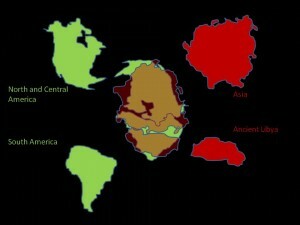 I compared the landmasses of modern Asia and a third of Africa to the land masses of the Americas. The area was within 1000 square miles of being the same. Here are the maps for the novel Second Sight. I start with the location of the Javan and Mestrean Embassy. Note where I placed it on the map. You can then trace the path up to the ancient capitol of Atlantis, the city of Poseidon. Believe it or not that is actually how large Plato described the city. Notice how nicely it fits in the Caribbean east of Cancun and south of Cuba. The inland seas are larger than they probably were in 11,000 BC. I am being conservative in my speculations of ocean levels at the time of the story. If sea levels were 800 feet lower than present day, then the entire region from Texas to Venezuela would have been dry land. From Poseidon, my characters journeyed north to the east coast of Eliassippus (Eastern United States) to the fictional port city of Baskra. I made up the name and the location of Baskra partly out of convenience for the story and partly out of speculation based on evidence of Basque culture in the Americas before the time of Columbus. According to my sources, Ancient Basque writings were found in large quantity in Mechanicsburg, Pennsylvania. 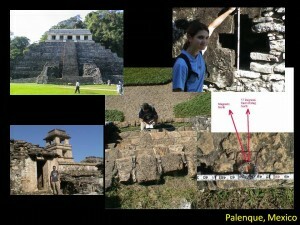 I have not seen the carvings first hand so I cannot say they are true. That is why I call Baskra’s existence and location speculation without much evidence to support it. If you look at the new Google Ocean Map, there does seem to be a great spot for a large port city buried off the coast there. My April fool’s joke about a submerged pyramid was only a half joke. Wouldn’t it be something if off shore drilling brought up a chunk of gold coinage someday? 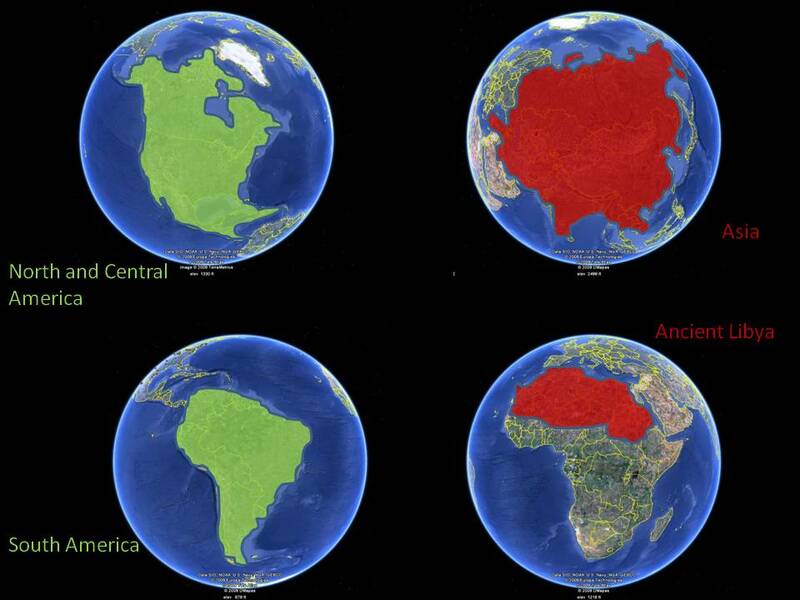 The other maps take you around the globe over to Europe and Africa. 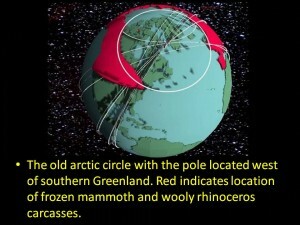 Note the ice cap is positioned over southern Greenland. This is based on my observations at ancient sites in the Americas and ancient foundations of Pagan temples in Europe orienting towards this ancient magnetic pole location. According to Charles Hapgood in his book, Path of the Poles, this is where he seems to indicate the magnetic north pole used to exist around 11,000 BC. I qualify that because I am referencing a data chart that was a little fuzzy in the book. Mer is under the old ice cap on top of England. Tevleh is the reversed name for Helvet, my shortened version of Helvetica, the ancient name for Switzerland. Javan according to Josephus, was located somewhere around the Mediterranean. Plato talks about ancient Athens covering a land area that stretched from the present day (his present day) Acropolis to the Sphinx. 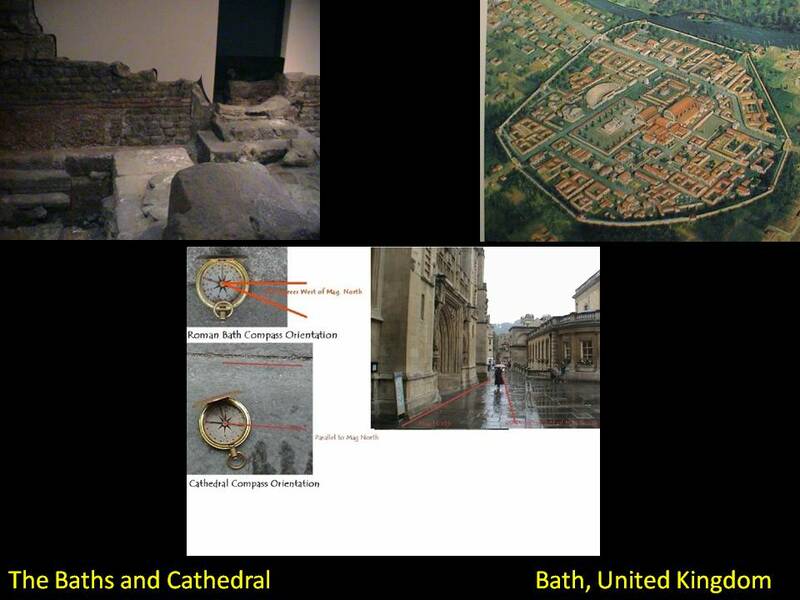 Javan and Athen sound similar enough to possibly be referencing the same place, remembered by two different cultures. While most academics assume Plato is referring to the ancient city of Athens, I noticed he seems to identify the capitol of Athens as being Deucalion. Why would a city have a capitol city? I think Plato is talking about an ancient country and modern day Athens is named in memory of that great nation. Plato dates the time of Athen’s existence to 9000 years before his time or about 11,000 years before today. 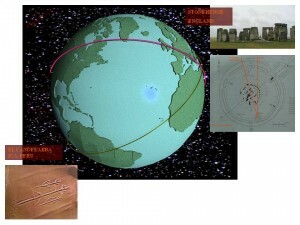 That would be 2000 years more recent than the calculated pole shift. 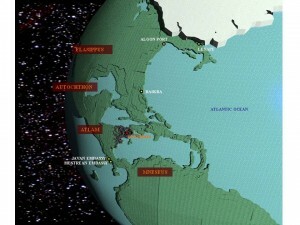 I believe there may have been a partial melting of the ancient ice cap that elevated the oceans halfway or two hundred to four hundred feet, with the rest of the ice melting over thousands of years because the pole shift exposed the surviving ice to temperate climates. If I am right then the Mediterranean Valley and its four smaller freshwater seas could have catastrophically flooded a couple thousand years after the cataclysm when the sea levels crested the Gibraltar land bridge and poured into the Mediterranean like a massive waterfall. William Ryan and Walter Pitman’s book Noah’s Flood gives factual evidence to support what I think may have been a secondary flooding event, one that preceded a tertiary flooding event in the Black Sea. Based on this speculation, I placed Javan in the Mediterranean Valley. Mestre is the ancient name for Egypt. I placed it there and gave it some additional land to the west so that it had access to the ancient Sahara Sea. Nothing to go on except the logical assumption that a country as powerful as Mestre would have to have had access to a sea that was as large as the Mediterranean is today. I will shortly be receiving a scan of an old topographic survey of the Giza Plateau from the British Library. I will use it to draw a three dimensional ground model of the Giza Plateau including the pyramids and attending structures. I will also include a few speculative locations of possible tunnels and chambers that have not yet been publicized by the Supreme Council of Antiquities. It should be interesting to see if any of my speculations prove to be accurate. And yes for all of you asking, I am working on the editing of the Sequel. It is going great. I am on schedule and plan to turn the manuscript over to my structural editor Kathryn Craft . She is a great friend and colleague. If you are struggling through a manuscript, push it hard then contact Kathryn. One of the best editors for riding through your story and giving you good opinions on flow and content, along with college professor quality grammar and punctuation corrections. Spell check does not get the job done. Ask anybody who has been published and cringed later. Thank you for reading. If you want a signed copy of the story, there are still copies available. You can go here to order online for a signed copy. Here are the stores carrying the book.